Happy New Year everyone. 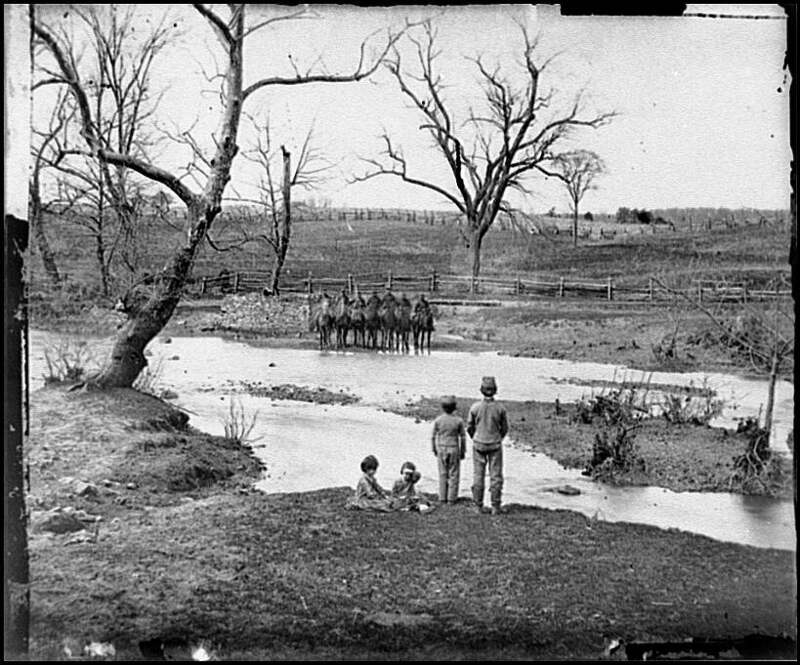 It's been especially silent here at Silent Remnants lately primarily because I've gone into research mode, using the holidays to immerse myself in North Carolina circa 1865 and locate some promising places to detect. Happily, I've managed to identify some interesting locations on the map and via on-site surveys and I'll update readers on the results of that groundwork soon. In the meantime, I thought I'd share some thoughts on one of the books Santa brought me and which I've been thoroughly enjoying over the past few days —it's "Relic Hunter: The Field Account of Civil War Sites, Artifacts, and Hunting" by Howard Crouch. This book was published in 1978 and relays, through conversational anecdotes, the incredible experiences of die hard relic hunters in Northern Virginia hunting in the 1960's and 70's. It's a fascinating read from several perspectives. First, some of the individuals hunting in the 60's knew men who had actually spoken with Civil War veterans. Some of the campsites the relic hunters explored were mentioned by their grandfathers who retained memories of tales shared by their own grandfathers. In many cases, relic hunters could walk right into a large camp and see the outline of the huts and the crumbling chimneys, dormant since the troops last used them. It's this sense of time that makes "Relic Hunter" such a fantastic read. When we dig an artifact that's 150 years old, it can sometimes seem like an immense span of time. But it's actually only a few human generations that separate our world of iPhones, satellites, and M1A1 Abrams Tanks from the era of horses, steam, and blackpowder. 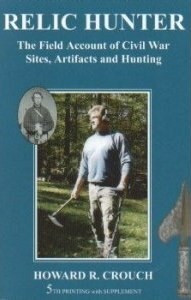 The main appeal of "Relic Hunter" is, of course, reading what it was like to be the first person to hunt a Civil War camp or even, in some cases, a battlefield, something that, for detectorists today, is unfathomable. For example, one hunter discovers a section of the Monocacy battlefield in Maryland that was "full of everything—US box plates, hat ornaments, flat buttons, and one really pretty, big, round hat wreath. Shell fragments and pieces of fuse were all over." Other hunters describe a typical day's hunt as yielding 3 plates. One of my favorite stories from the book concerned efforts to restore a section of the Chancellorsville battlefield in 1932. William K. Howard was riding his horse through an area he'd passed through several times before, "when [he] just happened to look down and see this saber stuck upright in the ground. It was dark and weathered down to a point where it blended right in with the trees." Howard returned to the site with a crew and it turned out to be the shallow grave of a cavalryman, quickly interred by his fellow soldiers where he fell, the saber he'd wielded in battle had become the headstone of his grave. The book is full of stories such as this and replete with black and white photos of box plate after incredibly rare box plate and other incredible relics. The only downside to "Relic Hunter" (and this is a minor quibble) is the recurring theme that relics, like the world of the 1860's, have disappeared. As Crouch puts it, "The days of the easy pickings on battlefields and large winter camps are all but gone ... Good sites are hard to find...and every piece coming out of the woods is gone from the soil forever. In contrast to game hunting, the digging sport exists on a non-recurring resource and consequently must surely end one day in the not too far distant future." This is all true, but newcomers to the hobby may find Crouch's comments a tad deflating. Only a few pages of the book are dedicated to telling the reader "how" to find places to look for relics. There is a single chapter (27) that deals with methods and it contains valuable advice. But the main appeal of this book is to put yourselves in the shoes of relic hunters who were the first to re-enter the world of the Civil War. If you're looking for some inspiration to do more research or to get out and hunt, this book will certainly provide that in droves. Highly recommended.